The Lenmar ACUSB 4 port travel adapter is my “go-to” choice when it comes to international travel. I have used it for several years now with great results. It is a USB step down converter with interchangeable plugs. It will “step-down” the voltage from 240 or 120 volts to the 5 volts needed by USB. It is a 2 amp device, which means that it can even handle charging an iPad. The adapter does have its limitations. The amperage will be split between devices if you have more than one plugged into the port. For example, if you have 2 items plugged in the amperage will drop to 1 amp per device. With 4 items plugged in you will have 500 mA per device. This could stress some electronics that need the higher amperage. Some won’t charge at all, while others may drain completely. The solution is to charge only one high amperage device at a time. I also noticed that the higher amperage devices will take several hours to charge. My USB powered Eneloop battery charger can take up to 8 hours to charge drained batteries. 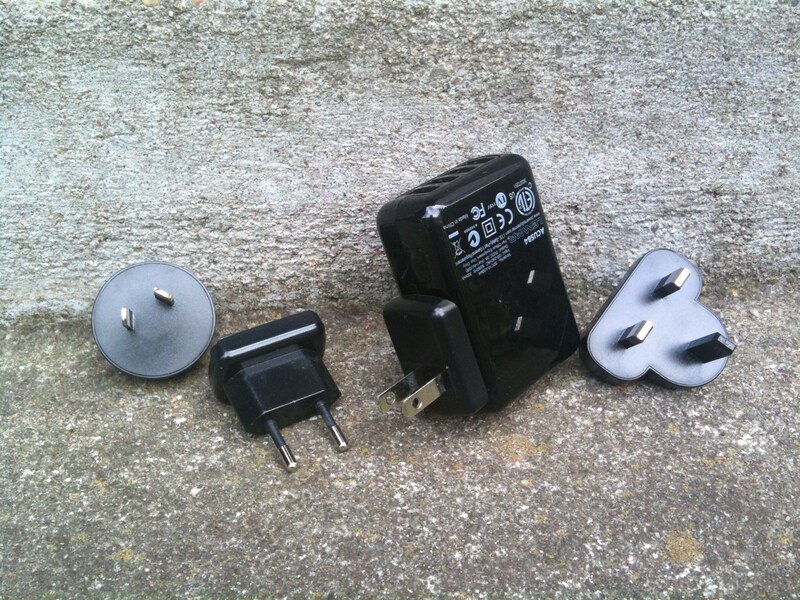 Some reviewers also claim that the adapter does not work well with Kindle devices. Since I have a Kindle app on my iPhone that doesn’t affect me. The iPhone, by the way, charges just fine. The device is available on-line from several retailers. It costs less than $20 US. I appreciated this review – so much so that I bought this product. It has worked with my iPad, iPhone and Kindle. I’ve charged all three at the same time with decent results. I’m so glad it has worked for you. It’s worked well for me.